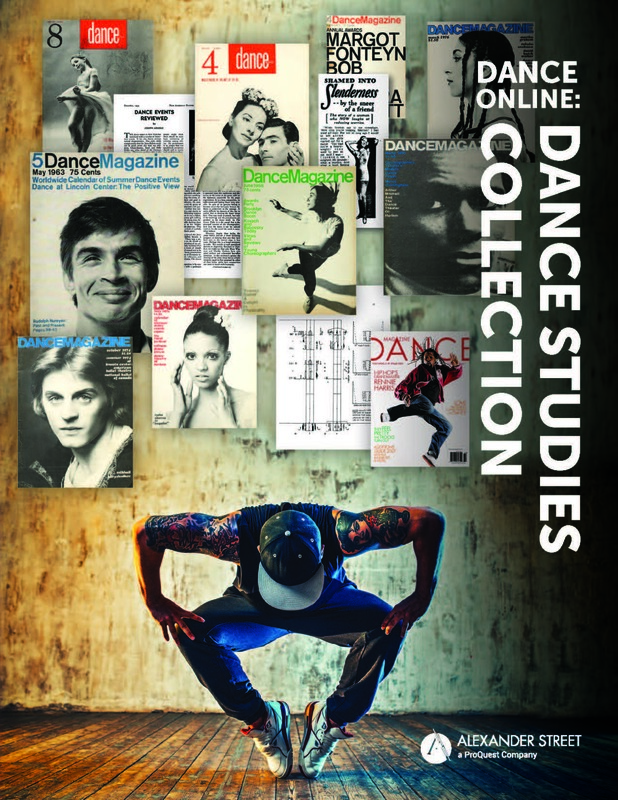 Dance Online: Dance Studies Collection presents the historical context of 20th and 21st century dance through 125,000 pages of exclusive photographs, correspondence, magazines, dance notation, and reference material that dissolve the distance between archive and scholar and draw dance students into the library. 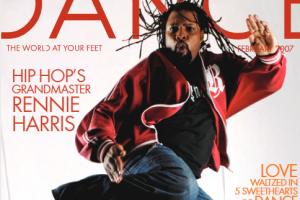 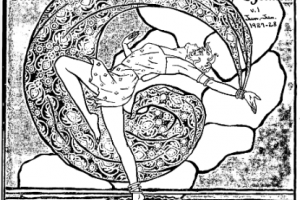 Dance Magazine Enjoy the complete run of Dance Magazine, from 1927 to present, in full text. 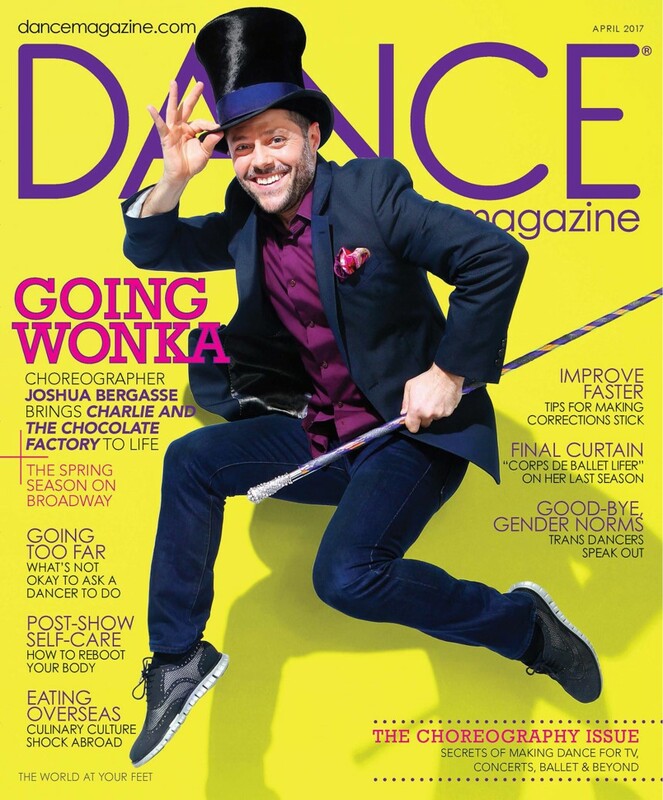 Exclusively brought together in its entirety for the first time online, Dance Magazine explores interdisciplinary topics like nutrition and body image, dance and gender, dance and diversity, costume and makeup design, and more Researchers are also able to compare changing attitudes and coverage of these topics across time. 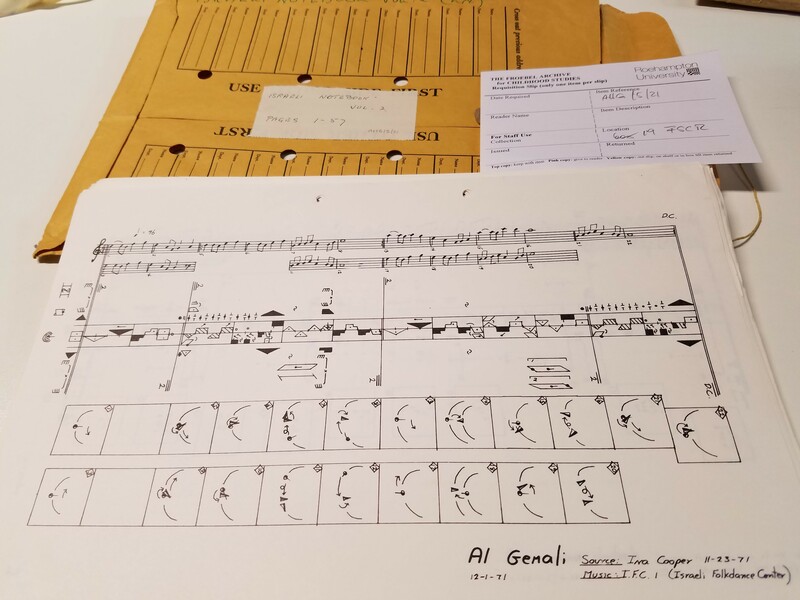 Ann Hutchinson Guest Collection - Ann Hutchinson Guest (born 1918) is an American movement and dance researcher and a preeminent authority on dance notation, especially Labanotation Materials include her dance notation, notes, manuscripts, photographs, and more. 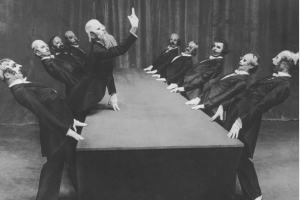 Archives are held at the University of Roehampton, and will be fully digitized for the first time in this collection.